عندما تزور موراي بريدج, ستشعر أنك في بيتك في Murray Bridge Motor Inn الذي يقدم لك إقامة متميزة و خدمات عظيمة. إن موقعه الجيد الذي يبعد 5 km فقط عن مركز المدينة يساعد النزلاء على الاستمتاع بمعالم المدينة ونشاطاتها. يوفر الفندق بفضل موقعة الجيد وصولاً سهلاً إلى أهم معالم المدينة.
. إن الخدمات الممتازة وحسن الضيافة العالي في Murray Bridge Motor Inn تجعل إقامتك تجربة لا تنسى. يمكن الاستمتاع بمجموعة من الخدمات على أعلى المستويات في الفندق كمثل واي فاي مجاني في جميع الغرف, مرافق مخصصة لذوي الاحتياجات الخاصة, Wi-Fi في المناطق العامة, ركن للسيارات, قاعات اجتماعات. بالإضافة لهذا,تتضمن كل غرف الضيوف مجموعة واسعة من وسائل الراحة . بعض الغرف توفر حتى اتصال لاسلكي بشبكة الإنترنت (مجاني), غرف لغير المدخنين, مكيف هواء, تدفئة, مكتب لإرضاء أكثر الضيوف تطلباً. يقدم الفندق مجموعة واسعة من وسائل الراحة المتنوعة، كمثل: مسار جولف - ضمن 3 كم, التزلج على الجليد, تدليك, ملعب للأطفال, حديقة. 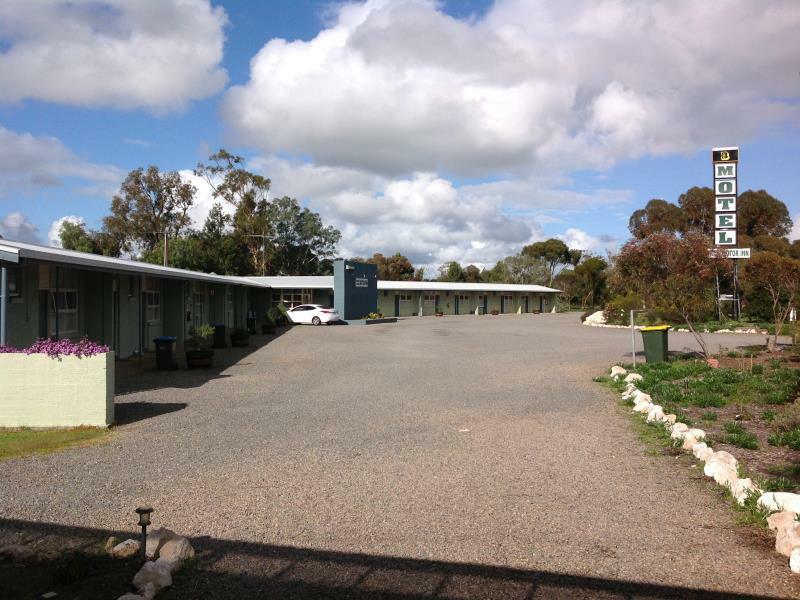 إن Murray Bridge Motor Inn هو خيارك لخدمة الفنادق الراقية في موراي بريدج. Old and damp room. Pillows and quilts filled with musty, air conditioning continue to send the terrible sound in all night, shower water very small and the temperature always out of control. The wifi just can only be used in the reception office. Anyway, I will not patronize the second time. Absolutely not true.Air conditioners are new Panasonics and we don't have quilts.Our pillows are from the Pillow Doctor and our linen is not musty as described. It was on our route. There was no fuss. The lady gave us bed sheets for our daughters cot and warmed up her food in the microwave. Paying $25 for a cot for our infant daughter was ridiculous. 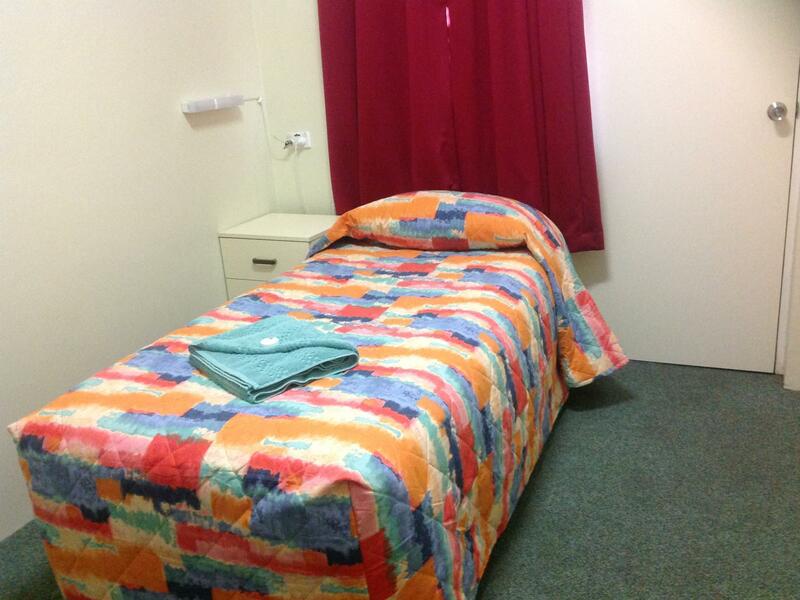 This is the bottom of the range, high price ,poor location, old old, rooms too small, no facilities old or new, handyman built and maintained, taps in shower were original 1950's with the hot and cold reversed in alternate rooms - no building standards in South Australia, then or now for motels. However it was clean and Local Community Club bus pickup and return for evening meal was efficient, breakfast at German Bakery in town as recommended by Roman the proprietor was excellent. Sorry this motel is not handyman built and although built in 1960 we maintain a good standard of comfort.Location suits many of our guests and if you wanted a larger room all the guest had to do was ask.2013 we had barely had our feet under the table with a sizable mortgage and much remedial work to be done. Was in a very handy spot for us as we only needed something for 1 nights stay as we had a sports carnival and we were very lucky to get a room as we booked at the last minute. The room had everything we needed for the night and I loved the electric blankets.